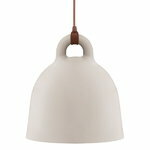 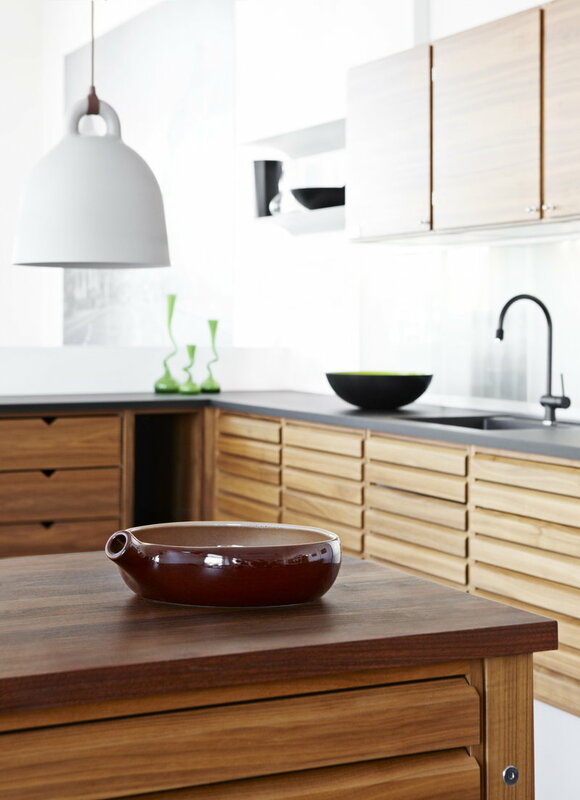 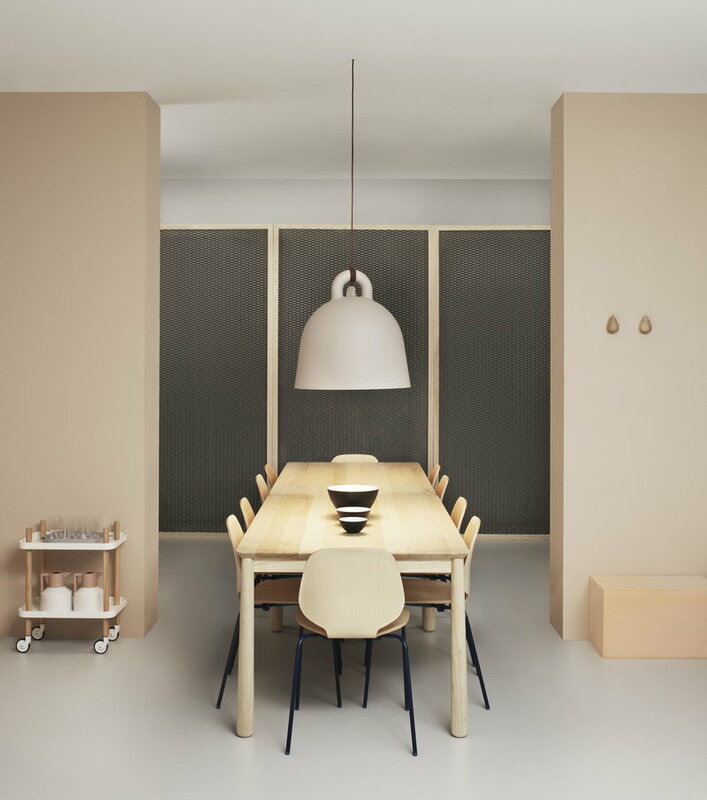 Bell pendant lamp by Normann Copenhagen resembles a casted church bell hanging from a thin cord. 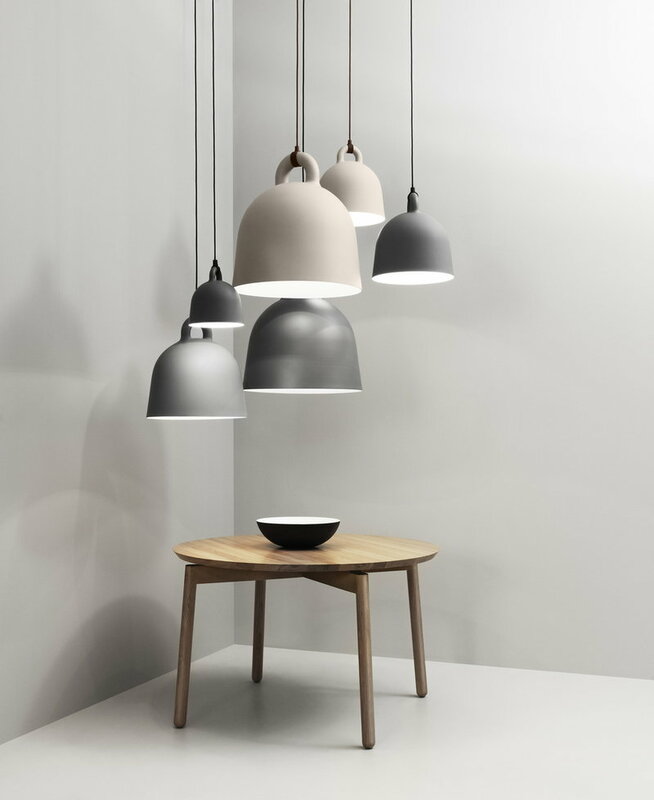 Designed by the Andreas Lund and Jacob Rudbeck from Denmark, the matt-coated Bell lamp has a simple yet distinctive appearance. 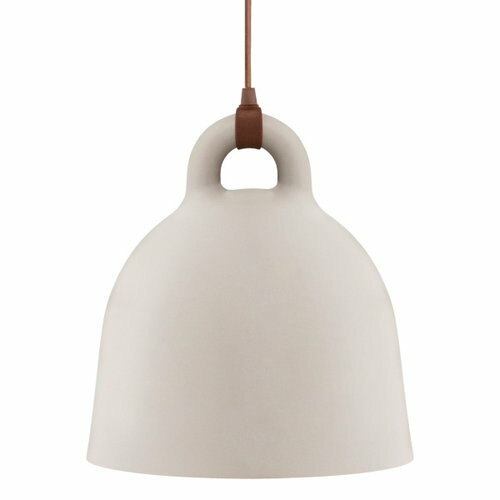 Its white inside casts soft and pleasant light, and the connection of the cord and the lamp been accentuated instead of being hidden. 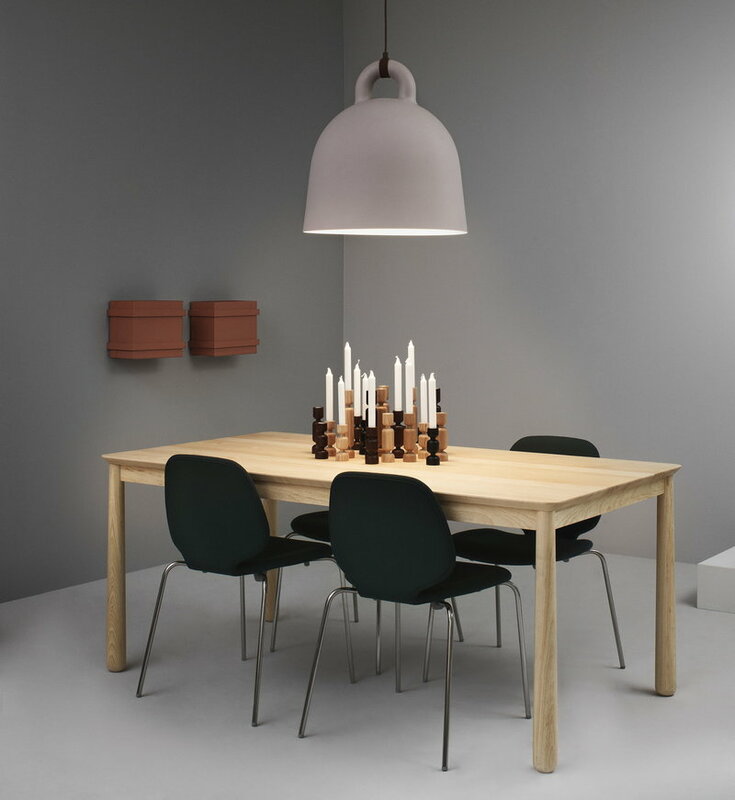 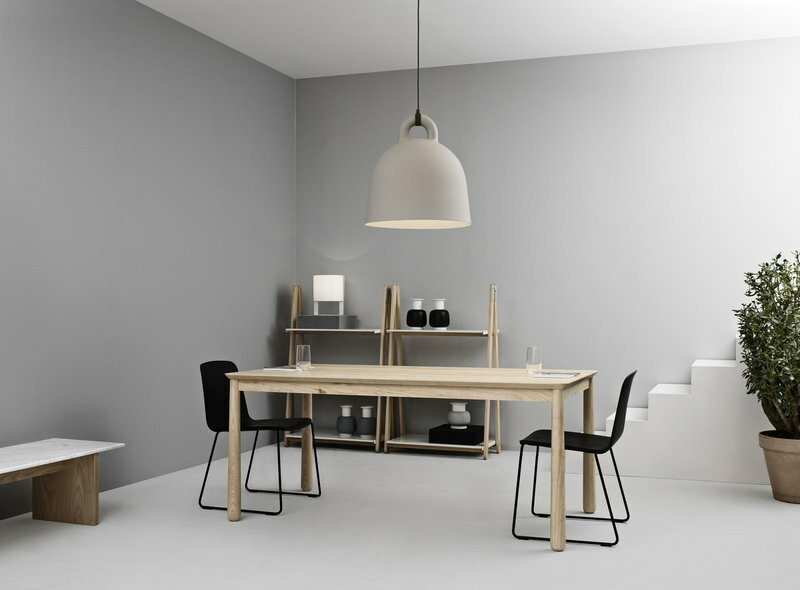 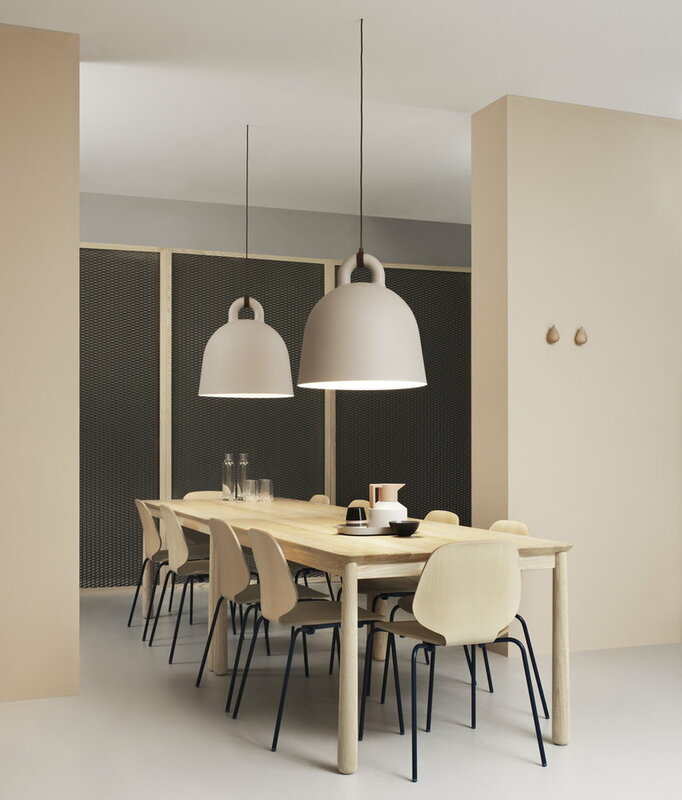 The smaller Bell lamps look attractive in groups, and the larger ones can be hung above the dining table or light up a large hall or office space.